Before I introduce my guest this week I want to give a shout out to Tovita Razzi, Dolores Lowe, Bob Macchione and Steven Johnson for supporting my podcast project. Click here to get your VIP access. Todays guest is Seattle based music photographer Iron Mike Savoia. Mike is one of the official photographers for music Caribbean cruises such as Monsters of Rock, Moody Blues, Cruise to the Edge and others like Def Leppard, Celtic Thunder. In this interview, we will talk about how it feels like to photograph your favorite bands in shorts on a party ship. Mike will reveal his secret to beginner photographers when it comes down to get access to shows. This is an approach I only heard once during the previous 36 episodes, so make sure to don´t miss it. And we’ll dive deep into social media and how you can get best out for your own concert photography work. Matthias Hombauer: How are you doing today? Mike Savoia: Today is great because tomorrow I actually leave on vacation with the wife for the first time in like 5 years. Matthias: Wow, that’s great! So recently I saw this TV appearance of you talking on TV about your career as a music photographer, how was it to be on a TV show? Matthias: You feel like a rockstar right? Matthias: Do you still feel nervous when you do this kind of stuff? Matthias: Oh, was there an audience? Mike: Yeah, just don’t look at them. Matthias: And they told them “now, clap clap”. Let me know how you did you get started as a photographer. Mike: Boy, I could probably talk the whole time about this, but I’ll keep it short. I was born in 1966, I got my first camera, which was a little Fisher Price thing from my parents in 69 and I loved it from then on. My family has always had cameras. Aunts, uncles, they were always shooting photos and my grandmother she had this camera. I was very interested in it, it was an Argus 75. Matthias: Never heard of it. Mike: I think she got it in the 1950, it’s one of those little Brownie square cameras where you open the top, look down into the glass and you shoot that way, and it’s pretty much a click and shoot. I just loved that thing. All this years later I still have that camera and I still shoot with it every once in a while, it’s pretty crazy. When I got older I got into High School and there was a photography class so I did that and that was pretty much all black and white and we developed our prints and all that so I had assignments to do and I just loved photography in general. The music came in when I was in High School, here locally the music scene was just kind of blowing up so I ended up buying a Kodak 4000 disc camera, little pocket camera, and I went to my first show. This first show was supposed to be Metallica, 1983 and a local band, The Wild Dogs, were opening up so I went to shot the show and when I got there, Metallica had to cancel last second because they were stuck in the Canadian border. That really sucked for me, but this opening band, The Wild Dogs, that were from Portland and that was the first time I ever saw them, I shot some photos of them and they just blew me away and all these years later now that I .look back at that, the drummer was Dean Castronovo, who went on to drum for Ozzy, Journey, all kinds of bands. So that was my first experience shooting concerts and that just led the way into everything else I wanted. It was mid 80s the whole underground metal scene and Seattle was boiling up for the grunge of the 90s and I started writing for a magazine from Arizona called Loud Magazine. The editor Jo Lopez, I think for my first assignments I did a CD review of Stormtroopers of Death’s album. That was my start in writing and then locally here in Seattle I started writing for The Rocket and that was a big magazine. That kind of led into the photography really because there was one assignment I had to review, the first Sugar Ray CD and I reviewed that CD and that same week they were playing in town so ended up going seeing them live, I shot the show, I was completely blown away by Marc McGrath and I had to meet these guys so I met them side stage, told them I took photos and at the time obviously it was film so it wasn’t digital, so we met after the show, exchanged numbers and I sent them printed copies of them and they loved them and from that point on I started actually working with the band before they went big. Matthias: Wow how cool is that. Mike: Totally and that is one thing I’d love to say that all the other photographers there are looking for a way to get in the scene. Look at your local radio stations, some cities are bigger than others, in Seattle we’ve got Intercom and they’re like the big guys so I’m lucky in that sense but a lot of radio stations, they don’t have that. So just contact the program director or the promotions department and run the idea by them, see if they don’t have photos. You’ll find out with my stuff here that obviously it draws traffic through their website which draws advertising dollars so it’s a win-win situation if you look at the whole picture. Especially working with a radio station you get access – let’s face it I got acts that I’d have never gotten with some of these artists, all because of working stuff through the radio station. Matthias: And you guys in the US are lucky because you’ve got tons of radio stations compared to Austria where we’ve got a handful of radio stations and there is the photographer who has been working there for the last 40 years unless he dies he wants to keep on doing it. In Austria it may be more difficult. But as Steve also said, there are tons of radio stations and it may be worth a try. Matthias: Cool! Let’s talk about the cruises you’re doing because you’re not only shooting for the radio station, but you’re also the official photographer for a music Caribbean cruise such as Monsters of Rock, Moody Blues, Cruise on the Edge and others. For me, this is totally new because I’ve never heard about these cruises until lately I also had Igor RockXposure on the show who is a colleague of yours and he’s also shooting these cruisers. So, for my listeners that have never heard about these events, can you explain how it works and what it is? Mike: So basically you have a vacation cruise on a cruise ships. But these are all music-based and focused. Let’s say here at the end of the month I’m going on the Moody Blues one. Basically The Moody Blues are the main band on the cruise and there are other bands on it that are on that category of classic rock. Matthias: So there’s always or sometimes a main band after the cruise is named after. Mike: Yeah The Moody Blues, Def Leppard, even Celtic Thunder. The Cruise to the Edge is actually Yes’ blues, so that’s like a prog-rock cruise. It’s fantastic. Then you have the Monsters of Rock cruise, which focuses mainly on 80s, 90s rock, kind of the “hair metal”. And this is like the most amazing cruise that you’ll ever go on because there’s 40 bands or so on the cruise. Matthias: So how many stages are they then and how often do they play? Is this like every day a couple bands play? Mike: Everyday it is starting at like 10-11 in the morning and it goes till 2 in the morning. It’s a long day but bands are playing constantly. You’ve got a big stage on the pool and there’s usually a big theatre on the boat too. There’s so much going on. With these cruises me and Igor, we try to cover everything between us and it could be kind of crazy. We’ve got some other people too that also shoot for other cruises too so we pretty much get everything covered. Matthias: How long is this cruises’ trip? Mike: Depends on the cruise, usually it’s 5-6 days. Matthias: There’s also a dedicated backstage area or is everyone kind of hanging out in the cruise? Mike: I’d say 70% of the bands are out and about. You could be sitting there at the bar and some big rockstar standing right behind you so you gotta watch what you’re saying. Matthias: That’s awesome. Near Austria I’ve seen the same thing I think it’s called Metal Camp, it’s up in the mountains in winter and you’ve got a small village with some houses and metal bands play there. If you don’t have the sea, then you’ve got mountains. Mike: That’s cool. The cruises are amazing. It’s really a dream. When you go out there and you’re with all the people you boys listen to and look up to, it’s really a blast. Matthias: For how long have you been doing this? Mike: I think both me and Igor started in 2014. Matthias: So it’s relatively a new business. Mike: Pretty much. I’m just glad I was able to do it. I had a buddy down in Mexico, he gave me a call, Dave Stabley and he does video stuff for the cruises and somebody dropped off on his team and he knew me through Queensryche and gave me a call and asked me if I wanted to come down and do it. I went down, I did it and I was supposed to be doing video. I was shooting photos at the same time and the boss man found out and saw my photos and pretty much hired me from then on. Matthias: Do you have to deliver the photos right away? Is it like shooting your first three songs and then go back to your computer and upload the pictures or do you have any time scheduled here for a magazine or the organizer? Mike: We have a list of all the shows that are going on and we pretty much have free reign, we always do deliver photos to the group to post or whatever. Between me and Igor we’re always posting something either from our phones or something else. We wanna keep everyone updated with what’s going on. It’s pretty much we shoot, we post, we go back to our room, edit really quick. Most of the times we both do it on our phones. Matthias: What’s your approach when it comes down to social media? Because you said you’re posting from your phone, what are your main social media channels and why? Mike: Social media is everything right now for us as music photographers. I can’t even come to tell you all the jobs that I’ve gotten from people seeing my work online. Facebook is definitely number one. Instagram is pretty much two and then Twitter. Between those 3 right there I need to be pretty active. I wanna say Facebook and Instagram are the main two for doing that. Matthias: What I’ve found out is that Twitter is pretty awesome if you want to get in direct contact with bands or famous people. Mike: Yes that is very true. The access for us to the musicians is unbelievable compared to twenty years ago when you didn’t have that access at all. You had to meet people after the show. The one thing I’d like to say about social media is that as a music photographer you need to be personable in the sense where you’re making a relationship with these artists. A lot of people go shoot the show, they post the picture, they’ll tag people but that’s about it. Staying in contact, even if you don’t know them but you send a message “Hey, check out the photos” That’s a good way of maybe becoming friends with these people and that’s been one of my main little secrets is making a relationship with the artist. It’s led to all kind of other great stuff for work and shows. Matthias: How did you get the contact was it because you were shooting for the band or you had to contact them? Were you looking on the internet for the manager’s email address and then send them the pictures? Mike: It’s a combination of everything you’ve just said. Some artists are kind of unreachable, they’re not really online. Matthias: Yeah that’s real. Even if you want to shoot Neil Young for example and want to get in with direct contact, there’s no contact. Mike: Yes, especially with the older generation. It’s so crazy to think of all the different ways now with social media that we have as a tool. Back in the day, I’d have to call your rotary dial phone and you call the record label and then you try to find somebody on the phone who actually works with the band so back then it was definitely a process, it wasn’t as quick as it is today. Matthias: I’m glad that you switched to digital because shooting the cruises on analog might have been a bit tricky. Can you imagine your own darkroom on the ship? Mike: Oh it’d be horrible and it would cost a heck of a lot of money. A lot of money. Matthias: Right. So, talking about money, how hard do you think it is to make a decent living from music photography alone? Are you only shooting music or do you still have your job at Microsoft? Probably not. Mike: No no, I left there. Boy, nowadays it’s very hard. It’s really hard. I’ve seen it where 6-7 years ago I was given ads for a thousand, 1000-1500 dollars. Nowadays you’re lucky if you get 250 dollars for that same work. Just today, there’s so many people with cameras, everybody is doing kind of the same thing, it’s just kind of downgrading everything. The younger generation wants things for free. It’s a completely battle all the time, you take a photo and the band wants to use it but they don’t wanna pay you. The whole business is just really not good anymore. Matthias: So what do you think the future will bring? Will this continue with the right-grabbing contracts, restrictions for photographers? I’ve read recently Josh Homme’s story, from QOTSA, who kicked the photography girl. How do you think will this evolve? Will there be more restrictions for photographers and they’re not gonna be even allowed to shoot from the pit but just from the front of house or will there be a band of all cellphones, which I don’t think, but there’re still some bands that they don’t want any photographers and they’re also very picky if someone takes pictures from the audience. So what do you think in the next 5-10 years will happen? Mike: Boy, it’s changed so much within the last couple years. If you’re talking 5-10 years, oh boy. I don’t really see it getting any better in that sense because now there’re so many bands that are coming up with these rights-grabbing contracts. Matthias: Are you signing them? Mike: No, the only time I ever signed them is if I’m working through the radio station, I need to do it, but they’re really good in the sense that if it’s a total rights-grab, I don’t have to sign it. We don’t even cover them. It’s gonna get bigger and bigger now. That same thing there, I think what’s happened is, there’s professionals and then there’s people that are not. And what happens is they’re posting photos that we look at them and you go why would you ever release that photo? Mike: So what’s happening is the artists are seeing this now through all the social media and it’s downgrading our greatness or goodness of what we do. We go out and we shoot and we release photos that are good, the rest they’ll go shoot that same shot we shot and we’ll release 30 photos and they’ll release 150 and 90% of those are embarrassing. Matthias: So therefore I get why they’re doing this, from the other side, the band, the band management. But as I said, still it’s a situation that might not get easier because we’re kind of in the middle. Pros deliver great photos but on some shows you’ve got to Front of House and the guys in the first row taken even better pictures with their cellphones probably. Mike: Yeah, that’s the other thing too, it’s pretty embarrassing. Even with bands like The Killers, I was with them last week, I was with them and I couldn’t shoot them, they just don’t allow anybody to shoot them. So I’m like “Ok, whatever.” But it’s just embarrassing that somebody could sit in the front row for the whole set and shoot and these pocket cameras, some of them are great. Matthias: Yeah there are super zoom cameras and make great photos. One photographer once told me he was shooting the first three songs with his pro equipment and then when he’s leaving the pit he takes his Nikon with super zoom whatever it is 700mm and gets great shots for the whole show. He’s allowed to shoot with this kind of camera. Mike: Right now, no. Not to the agencies. Matthias: Because I think that the challenge most of us have is how to monetize the work we do. I mean shooting for agencies is great, I did an interview with Scott Legatto which has probably 5500 on Getty and he said he’s doing good with it. I can understand this, but if you just upload 10-20-200 photos, this won’t be the way to make money. So the question is, what are we gonna do with the photos? Because sure, we can share it on social media and get likes and so on but no one can pay rent with this. Or you do exhibitions but if no one knows you and you’re just a newbie you’ll have more costs setting up the exhibition than anything else. What I’ve heard from other guys that the only concert photos that sell is the old stuff from the 60s, 70s, 80s. Do you think there is any way to earn money with concert photos? Mike: Oh boy, no. I’m gonna be truthful. Nowadays? No. Unless you’re dealing with bands directly and you’re doing merchandise you know shirts, posters or like what I do, you deal with manufactures, the guitar companies, the drum companies and you know you sell photos that way through them to use for their catalogues like NAM that’s coming up next month. That’s an outlet to do, but more and more I’m hearing people that are writing for magazines or stuff like that it’s just, it doesn’t pay very much anymore. Print is kind of going away too with all the social media. It’s definitely is making it very hard to make money. Matthias: Have you get any insights on selling merch? Is it hard to get contracts with bands to sell your photos on their t-shirts? Mike: With bands it’s always good to know them. That’s the thing I go back to, it’s making relationships with these guys. Some of my relationships didn’t go overnight, it’s been years. It’s a relationship. That’d lead into things. But a lot of bands nowadays they’re touring so they’re always looking for something new to sell. It’s an avenue for all of us to work but it’s still difficult, everybody wants it for cheap. Matthias: I think for bands touring, selling merch is the only way to survive now. Mike: Exactly, and that’s for the bands that actually understand that. Matthias: So, talking about building relationships and working directly with bands, can you share some cool crazy stories in your life as a rock photographer? I guess there are a lot of stories but maybe you can narrow it down. Mike: Oh my god, let’s see. I’ve got a really funny story and it involves my wife. Matthias: I want to hear it. Mike: So, when I first started shooting the music cruises we did, I think it would a Blues cruise, I ended up being with Roger Daltrey of The Who as a photographer for his huge 150 person meet and greet and so we went to this gigantic room he said “I wanna meet everybody, I want a photo with everyone.” So we spent I don’t know how long, two hours, going through every single person I shot him with every single person. So anyway, it gets done, we’re at the end and obviously I‘ve got to do one of my photos with him and we do a photo together. And this leads to the story really. I come home, I get on my computer, I’m gonna edit this photo my wife Stephanie comes home, she walks through the door and I’ve got my computer set up kind of in the living room and she walks in, looks at my screen and says “What are you doing? !” and on my screen was basically the front of Roger Daltrey’s pants. So in the picture he had his zipper wide open, I was photoshopping the zipper closed and she walks through the front door and she’s like “Oh my God, OK” She’s seen a lot of crazy stuff like that. That’s a good story. Matthias: And in the end the picture turned out great. Mike: Yeah the picture is great. Probably when I do my book I’ll leave the unzip zipper one in the book. Matthias: So, you’re planning to do a book too? Matthias: Perfect. Did you ever have any doubts of becoming a photographer if you look back or is it still your dream life? Matthias: Seems like you’ve got good karma. Mike: Yeah, good karma. No matter what I’m shooting I’ve just that kind of weird aura. Photography is just me, it’s a part of me. I love capturing that moment in time, you know. Nowadays is great because you can share a heck of a lot more with social media. Matthias: Is there any advice you would give your 20-year-old self? Would you do something different? Maybe change to Apple computers? Mike: No, never would’ve done that. Mike: Yeah, I think if I look back to when I was 20. I wanna say if I had one big mistake, I was such into the metal scene, a metalhead, that I turned my back on grunge and I knew all the guys but I just didn’t like the flannel, the music and everything so here I am in Seattle in the hot bed of everything in the world and I’m like “Screw those guys!” and all these years later I look back and I’m like “Wow, what if I would’ve shot them back in those days?” like Lance Mercer, all those guys that have the iconic photos now, the grunge. So that’s probably what I’ll tell my 20-year-old self back then. I had a shot at something there. But I wouldn’t change anything because the bands and the musicians that I’ve worked with over the years and that I’ve known personally, I wouldn’t change that for anything. Matthias: I totally understand your point here, because when I was a kid I was playing also guitar in a death metal band and for me death metal was above other music and I didn’t even listen to any other genre like rock or pop, I can’t listen to all of this because I’m really deep into death metal, that’s the thing. So I totally understand you being a metalhead and you didn’t even care what else was going on around you. Mike: Yeah, exactly, I didn’t. 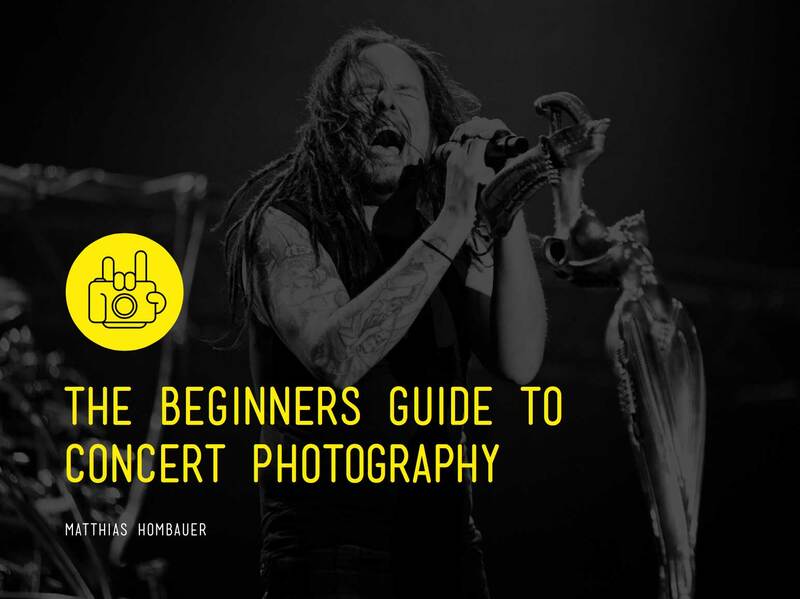 And then also too for all the music photographers that listen to this. One other thing too is don’t stick yourself in that one genre. It’s easy for me to say because I work for a radio station so I get to work with country and rock and all these other people but it’s just different outlets, you meet this different people, especially in like the country. The country genre, a lot of rock dudes are jumping kind of into that ship over there and a lot of what they call “country” nowadays is not really country, it’s rock. Matthias: And those guys have the greatest stage lights, I always see awesome shots of country and then I see shots from metal or indie rock and it’s like, “Ok”… somehow they’re different. They always seem to have great stage lights and big stages. Matthias: So what does success mean to you? Mike: Boy. What does success mean to me. Matthias: I know it’s a pretty hard question. Mike: Yes, it is. I’d think that everybody has their own vision of what they assume as success. Me doing this, I never really looked at it as “Oh, this is gonna be successful when I get to this point” I think for myself that I’ve been around for so many years here in the Seattle area, success is going down on the street and having people come up to you and liking your photography and they’ve seen you on Facebook or whatever and just having random people that you don’t even know, they’ve just seen your stuff come up to you and thank you. That’s –for me personally- incredible. Incredible to think, you know. And as a running joke with my wife too, she always says “No matter where we go, somebody’s gonna know you” and it’s happened so many crazy times you can’t even believe it. Matthias: That’s probably also because your blue beard right? Mike: Exactly, that’s the other thing. It’s a marketing thing for me. It’s my branding. And that all started from the cruises, Bahama acqua blue water there. Matthias: And since then you keep the beard blue. Mike: Yeah. It’s gonna be four years now. But basically we had someone at the cruises that was going there, this lady that works in Bahamas, when you go through security and she braids hair so she saw me a couple time and she always wanted to do something with my beard and it’s like I don’t want a braid and she said well how about you colour it. And I said I promise you, next time I come back I’ll have something done. So then I went to my wife’s hairstylist and we bleached it and it was blue and I haven’t look back. Matthias: Let’s do a short Q&A, I’ll ask you 7 short questions and please answer them as quickly as possible. Matthias: Nikon or Canon or another brand? Mike: Nikon D750, probably the best concert camera for the money. Matthias: If you could only choose one lens for your concert photography work which one would that be? Mike: It’s is easy for me to say 20-70, but I’m kind of known for the big wide 16mm shots, so I’m gonna go for the 16mm. Matthias: Is that a fixed lens? Matthias: Never heard of it. 2.8? Mike: That’s the hardest question of all time. Matthias: Something from the grunge area maybe? Mike: No no no no. I’m going 1993 I’m actually going for Raven, All for one. Matthias: Ok. Is there any music photographer you admire? Mike: Not really. The reason I say that is because I wanted to create my own thing. I didn’t really wanted to copy anybody but I do have one photographer, awesome guy, in Denmark. Lasse Hoile, if I’m even pronouncing it right. He’s the artist visionary for Steven Wilson and you check his work and it’s unbelievable. Matthias: Coolest concert you’ve shot so far? Mike: I’m gonna say KISS 1996 reunion tour and also KISS 2009, which may oversee the 96 because I was a kid, it was my very first show in that arena, 1979. I saw KISS and when I got to that photo pit in 2009 I looked up at the seats and I was kind of a little teary-eyed because I was like how could that 13-year-old kid be down here in the pit all these years later shooting Gene and Paul? Matthias: It was the same for me with Metallica. I saw them when I was a kid and then a few years back I was able to shoot them from the photo pit and it’s weird, all those years back I was sitting there and they were gods for me and now you’re standing meters away from them. Mike: Water. I like beer. Matthias: Also on the cruises. Mike: Yes. You need to drink water in the cruises, if you don’t, dehydration. Matthias: Yeah you won’t shoot long. Which band is still on your concert photography bucket list? Mike: Boy. I’m gonna go with Rammstein. I’ve had the opportunity to shoot them twice. I wouldn’t sign the contract. So that was super hard to do. Super hard. Matthias: Yeah, it’s weird because when they played here they didn’t even have a contract. That’s also something strange because sometimes bands have a contract and you move to the next country and they don’t have so you never know. Mike: So are you saying I should come there and shoot them? Matthias: Yeah I’ll invite you, probably they would play next year at least. I think 2 years ago I shot them at a festival here and they didn’t have any release. Mike: Wow. Well I hope they don’t have it next time because I’ve heard they’ve gone a bit more linear on it so we’ll see. Matthias: And this is the last question. What is your master tip for someone who wants to start out as a concert photographer? Mike: Ok. This is a great question, cause this is something I’m locally always saying it to the newer photographers. Always observe other photographers in the pit. Especially once that you know like myself that have been around. There are things you need to learn. Watch, observe and do it. If you have questions, don’t be afraid to ask. There’s a lot of photographers that might not answer your questions but with myself, it doesn’t matter where I’m at, you’ve got a question, I’ll answer it and I really think there should be more of that. Matthias: Don’t get frustrated if you don’t get an answer from some idiots. There are always guys who want to share, like us. They’re plenty out there. Mike: Yes. There’s plenty out there. Don’t be afraid to ask because there’re so many things going on in the photo pit that a lot of people don’t realise, they just don’t. Matthias: That’s a good one. So, for the listeners that want to check out your work, where do they find you? Mike: Basically you can find me on everything. Facebook, Instagram and Twitter the main ones. Either @mikesavoia or Savoia Photography, I’m not hard to find. Matthias: Perfect. Thank you so much Mike for doing this interview. I’m glad I caught you because tomorrow you’re going on vacation so have fun, have a great vacation. Do you take your camera with you? Mike: Yes, I’m going to this time because one of the destinations is Cuba and I’ve never been there and supposedly it looks like 60 years ago and still has old cars. Matthias: So you need your camera with you. Matthias: Well good luck with this and maybe see you at the next Rammstein concert in Vienna. Mike: Yeah, will be looking into that. Matthias: Thank you so much Mike and talk to you soon, bye bye.